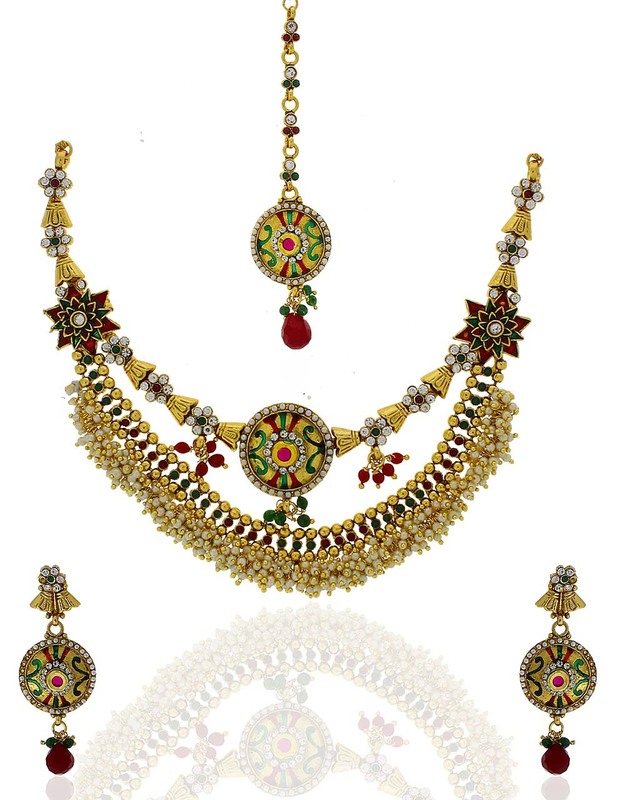 Anuradha Art Jewellery offers this multi colored beautiful necklace set in unique design. 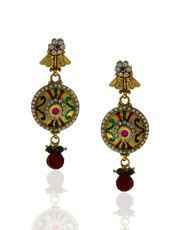 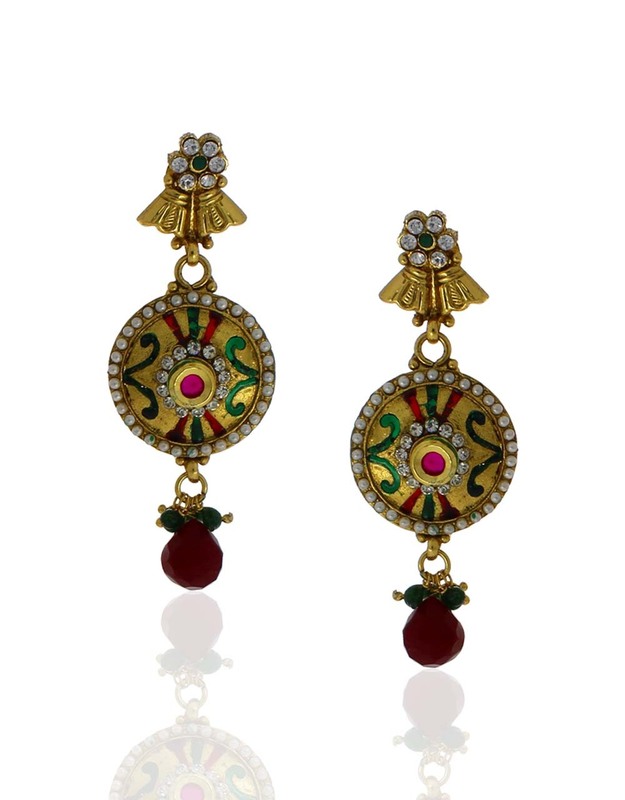 They are styled with polki stones & made from flawless golden polished metal. 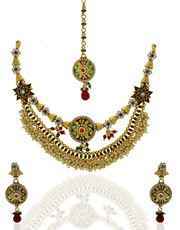 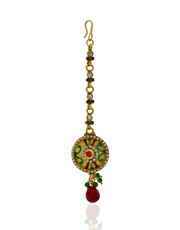 This necklace will look good with all types of ethnic outfits.